I am a Syrian student who fled her country at the age of 13. As a traumatized war victim, I was searching for a way to improve my life. After many years of psychological warfare at school in Syria because of my family’s political position towards the war, I made it my mission to achieve a high average at school and continue my higher education. I came to Jordan when I was 13 years old and was suffering from depression because of the war. My dream began to unfold when I attained a high average in the public secondary certificate and was honored by the school’s principle for my excellent achievement. 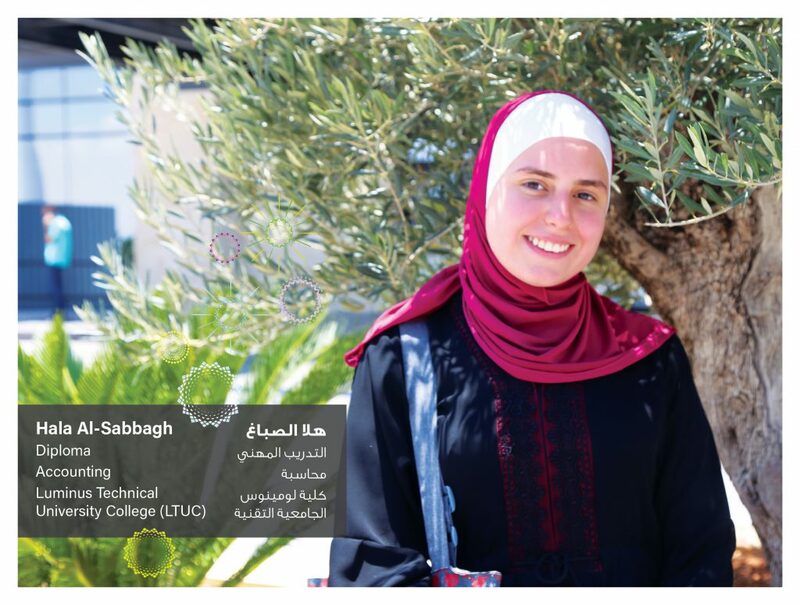 Thereafter, I tried to apply to the German Jordanian University but my financial situation did not allow me to study accounting there, so I went for my second option which was applying to Luminus Technical University College (LTUC). After reading on Facebook that Luminus Technical University College (LTUC) was offering scholarships for disadvantaged students, I submitted my application and got accepted. With the help of the European Union, I was also able to attain an English certificate from the British Council. I hope to further continue my higher education and apply for a Bachelor’s and then a Master’s Degree.